Have you ever had one of those great conversations with a pal you didn't want to hear end? You know. One of those long-winded and engaging conversations about comic books or movies. Yeah! Yeah you have! Good. Then you'd know all too well what my mates Dave, Ben, and John, would be talking about in the following interview I did with them only the other day. Viva La Podcast! 1) What are your own origins, Dave, Ben, and John? Plus what paths did you take in life to get to where you are today? DAVE: My story is very similar to most comic book nerds. 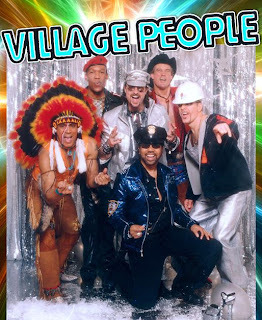 When I was a kid I didn't really fit in and was picked on a lot. So I escaped into the world of cartoons and comic books. 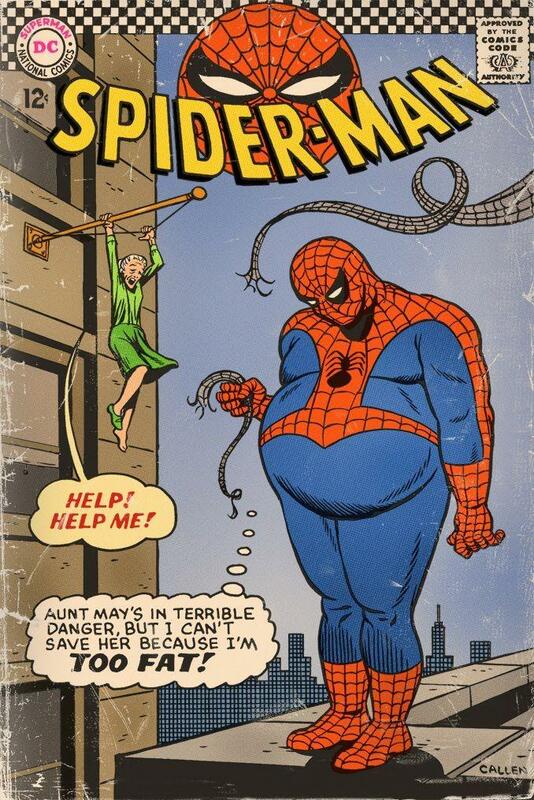 I remember the first cartoon that I really loved was the 60’s Spider-Man cartoon. They used to show it in reruns when I was around 6. I would watch it every chance I had. A little later in life I received my first couple comics which were Flash comics. They were hand me downs from my oldest brother, but I didn't care about that, I read them so much they fell apart (I wish I still had them). When I was a bit older I purchased my first comics and they were Captain America books. The Bloodstone Saga books which I still have in my collection to this very day. BEN: My origins are similarly humble. Wallflower-nerd in school who loved cartoons and movies more than my classmates. I knew more about what cartoons were on more than anything else really. I just absorbed it all. I was never an avid collector of comics. I came in and out of it. But I always loved the characters and the stories. This recent superhero movie / TV renaissance is like a dream come true for me. JOHN: Let me explain. No. There is too much. Let me sum up. I was born a geek, and in the grand tradition of misunderstood genius I have buried myself in counter-culture fantasies from where I hatch plots to take over the world. Seriously, I grew up in Connecticut, got bored, moved to Houston, realized it was too hot, drove back to Connecticut, remembered how boring it was, figured out what to do with my life, moved to Pennsylvania, got a real job, and here I am. 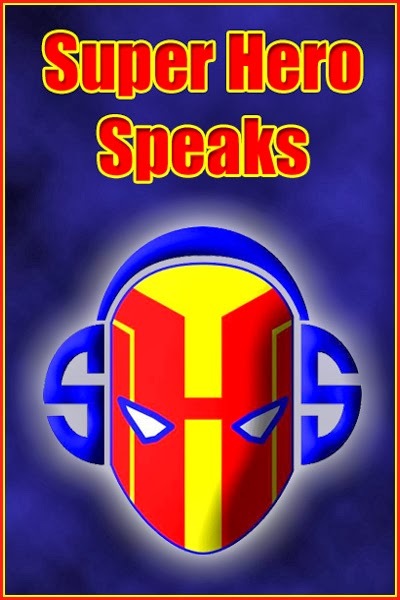 2) What inspired you to create the ‘SuperHeroSpeak’ podcast / website? DAVE: As I stated previously, I've read and loved comic books since I was a kid. From this love I began attending conventions around 2000. And in 2007, I began volunteering at conventions, and through that I met a lot of interesting people, artists, writers, and actors, and with them have had some great conversations. I just love the convention scene and always thought I’d love to do something creative related to this world. It wasn't until I met Ben and John that it became clear to me what that was going to be. Also, right now we live in a golden age of comic book movies, and this gives us a lot of material to talk about. BEN: When Dave approached me about the idea, I was honestly reluctant at first. I enjoyed our chats, but wasn't sure how it would work as something people would listen to. It wasn't until I started listening to more podcasts that I saw how we could do it without it feeling like a lot of work. And it doesn't. It's just a fun conversation that we happen to record and share. JOHN: Dave basically came up to me and said "speak into this microphone. And be funny!". I'm still working through it in therapy. 3) How did you meet up with your collaborators, John and Ben? DAVE: We actually all work together at the same company. We are all software developers for an online advertising company. I’ll never forget, on the first day I started working there, I noticed a giant Spider-Man painting hanging over Ben’s desk and so I asked him the story behind it. We hit it off instantly, and over the years we began having many conversations / debates about comics and comic book movies. When John joined the company he just fit in instantly. He has a deep love for all the work that Bruce Timm has done in the DC animated universe. So with that he quickly joined the debates. After a while I thought, hey, we should record these conversations and release them as a podcast. And thus Super Hero Speak was born. 4) What have you learnt about each other during this collaboration? DAVE: I know I've learned that Ben likes a good debate. He’ll take a side he doesn't agree with just to have something to debate you on. John is the quiet one, but when you get him going on something he’s passionate about, then he gets a fire under him and watch out, BOOM! He can rant (did you hear him compare Han Zimmer to a famous dictator?). He also comes up with the best lines in every episode. He’s a very funny guy if we let him get a word in edge wise. BEN: I’ve learned that Dave is easy to sway on most things if you present a solid argument, and that John likes My Little Pony: Friendship is Magic, on a somewhat unhealthy level. I've also learned that even though we do this essentially as a hobby, it takes commitment and effort to do well, which I see from these guys in spades. 5) If you could get a celebrity – either living or dead – to promote your podcast, who would you choose, and why would you want to choose this particular person? DAVE: For me it would be Stan Lee. And as to why, isn't it obvious? 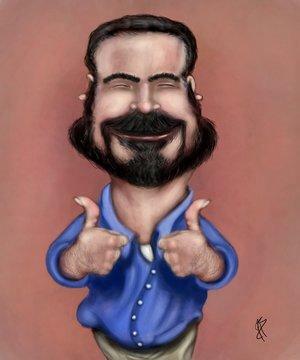 BEN: I’d love to see the re-animated duo of Billy Mays and Don LaFontaine promoting our stuff. Those two could sell salt water to a shark. JOHN: Bob Kane. If he told you it was a good comic book, you'd buy it. 6) If a movie was made about your podcast, what actor would play who, and again, why? DAVE: I think in a movie about us, Kevin Smith would have to play Ben because he actually looks a bit like him. In fact, one of his nick names at work is Silent Ben. For me, Kevin James. He seems like he’d be a kindred spirit to me. A guy who tries too hard sometimes to be funny or fit in and it comes off goofy, but he’s not afraid to keep putting his hat in the ring. And John, well, that‘s a tough one, but I think Lewis Black would be perfect. John can rant when he gets upset, and to see Lewis Black do one of John’s rants and take it over the top would be amazing! BEN: I think Dave pegged it pretty well, but if we were to try to re-represent ourselves with more attractive actors, I’d go with Matthew McConaughey for Dave, Robert Downey Jr. for myself, and for John... errr... maybe a younger Lewis Black. JOHN: Jack Black, because he's awesome, and you never know if he truly cares. 7) If you, John, and Ben, were all stranded on a desert island together, who would be the first person you’d want to kill and eat? DAVE: Oh! This is a tough one. But I think it would end up both John and Ben killing me. I can be kind of pushy at times, and try to take charge and that would get on their nerves. Also, I’m not much good in a fight, so they could take me pretty easily. BEN: You’re lucky we haven’t eaten you already. Those reasons aside, I’d still likely eat you first just because John seems to have more life skills that could be useful on a desert island (especially if the island had horses). 8) If ‘Super Hero Speak’ had a motto, what would it be? "Live your dreams, wake up from your nightmares". So there you have it, dear reader. My mates Ben, Dave and John, plus their smashing podcast, 'Super Hero Speaks'. When you have the time please check them out, because I'm sure you'd get a kick out of them more than a seven legged Bruce Lee. Hai-Yaaaa!